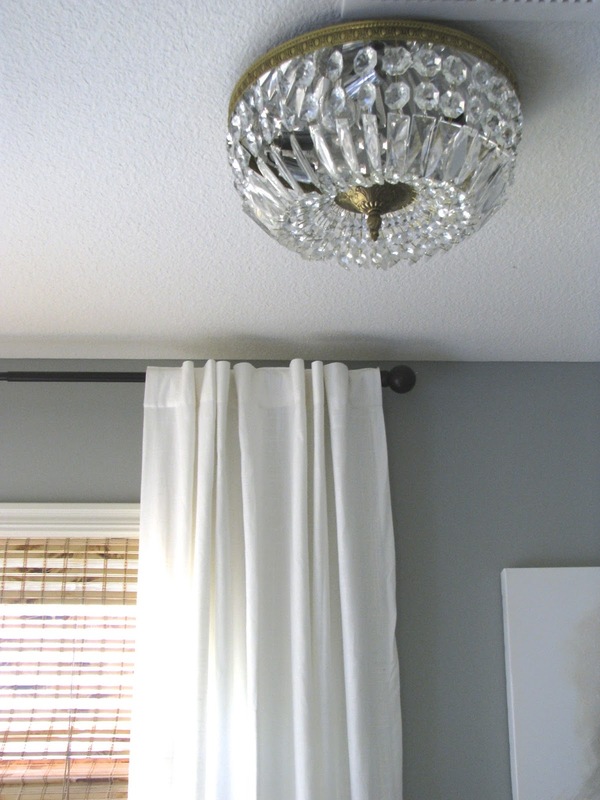 We've had the bamboo shades (Lowes), curtain rods (World Market) and the curtains (IKEA) for several years, but everything else in the space is new. The starting off point were the two chairs (also from IKEA). These are actually recliners! We found them in the clearance section of IKEA one day and felt they would be a good fit in this space. They were floor models and looked perfect, so we jumped on them. Each chair was $190. They recline, they are neutral, and they are small scale, which was essential for this small space. We don't sit here very much, so super comfy chairs weren't a priority. 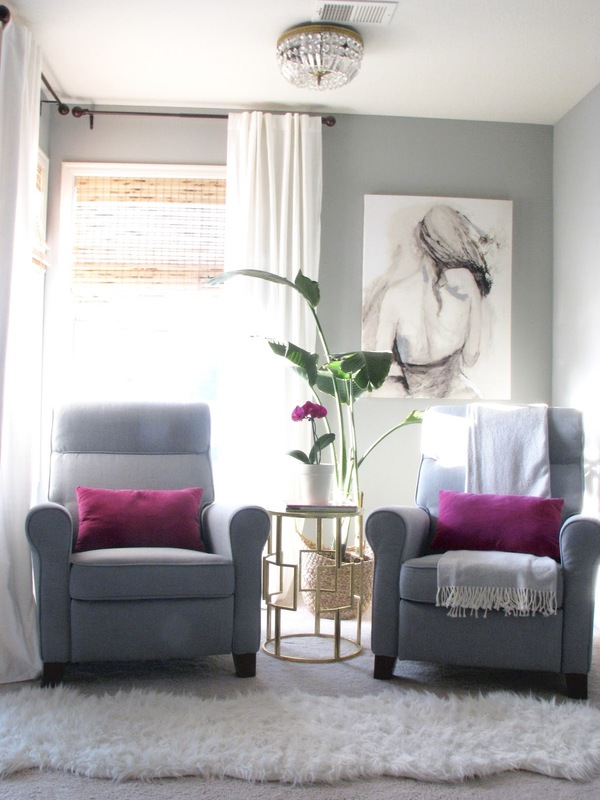 They offer these chairs in this blue/gray color as well as a linen color. 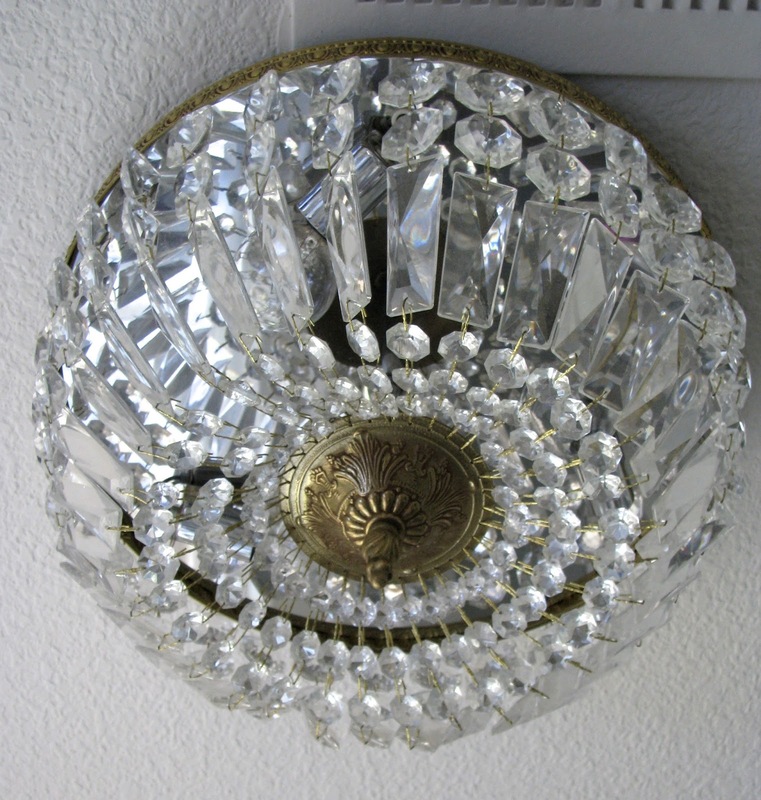 My most favorite piece in this whole space is the vintage light fixture. Find out more about it here. I wish I had 10 of these lights to put all around the house. It puts off so much light and it's perfect for reading in this space. 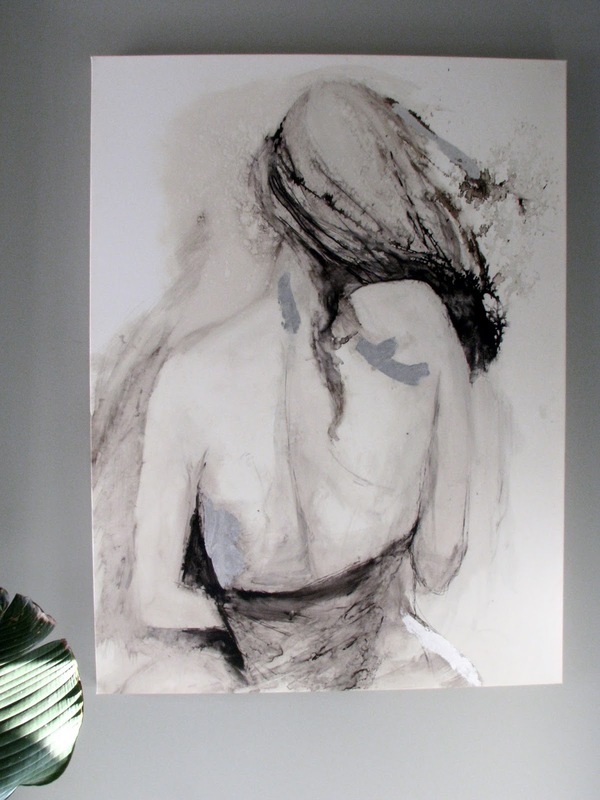 The artwork isa huge stretched print from Homegoods. I feel in love with this print the minute I laid eyes on it. 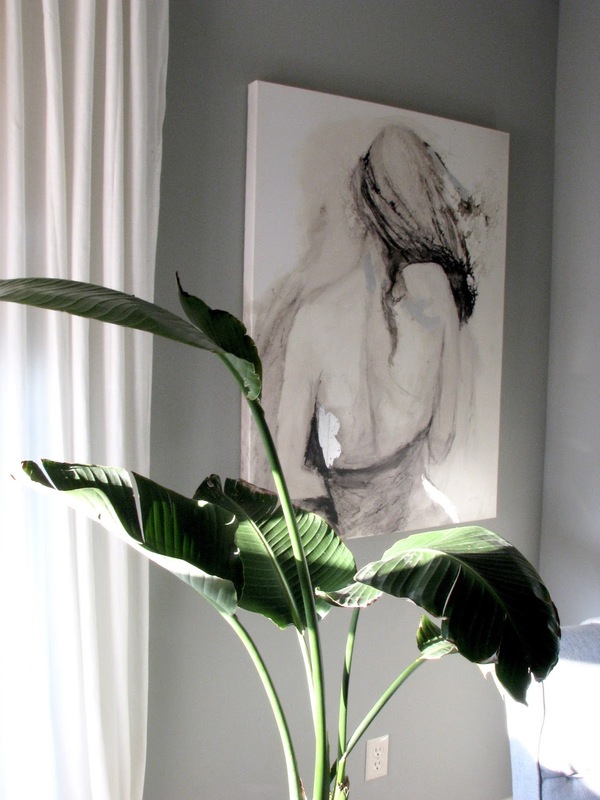 It fits the space perfectly and adds a bit of whimsy to the bedroom :). 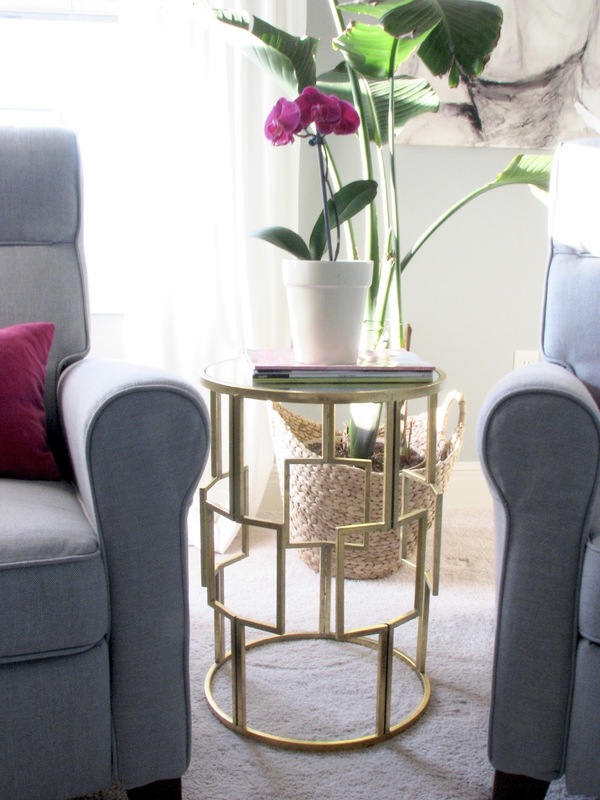 The little gold mirrored table is from Ross. I'm not sure if everyone has these stores near them, but I can usually find great little home pieces there. Several of my baskets are from Ross, as well as many of my bookshelf pieces and blue/white vases. 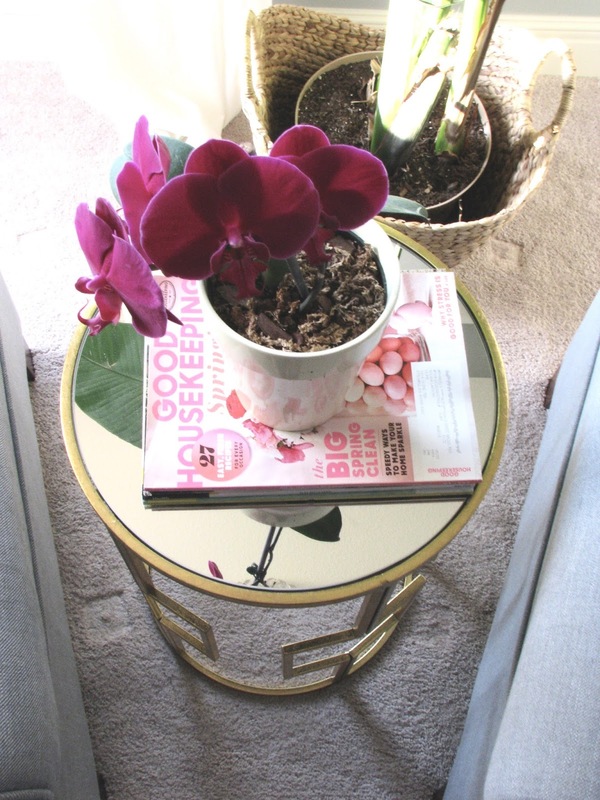 It's a little hit and miss, but this little gold side table was only $30 and was the perfect size, so I snatched it up! The pink lumbar pillows are from World Market, the bird of paradise plant is from Costco, and the basket it is sitting in is from Homegoods. The grey/white blanket is from Tuesday Morning. I'm addicted to buying orchids, and am obsessed with this bright fuchsia color. 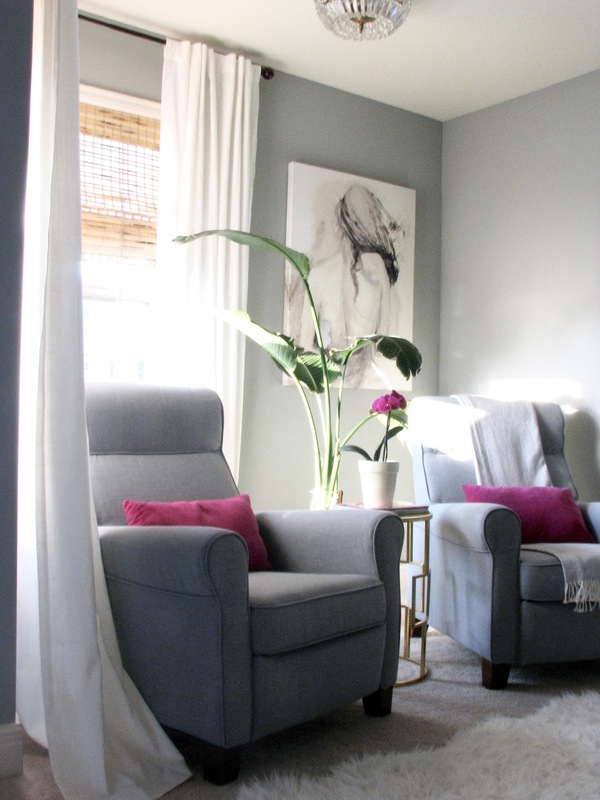 This color has found it's way into every space in our house, including the master bedroom! 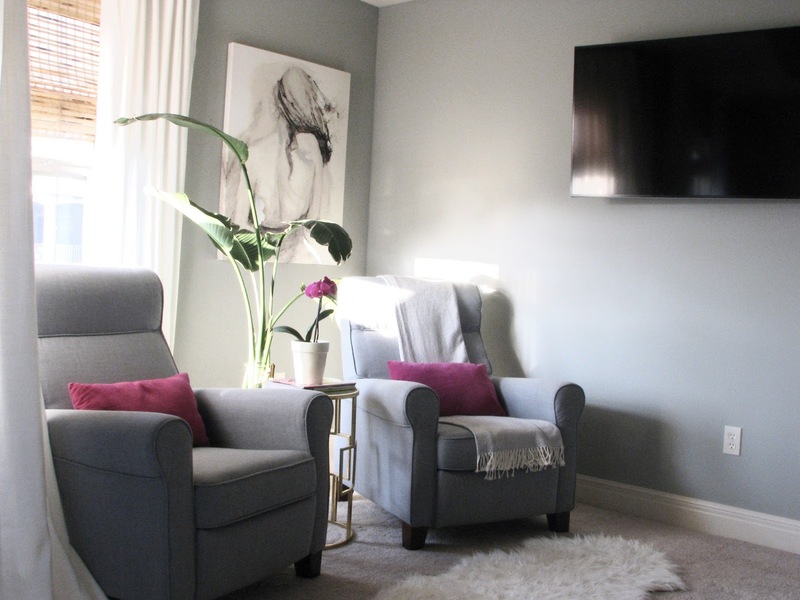 I wanted this space to feel inviting and neutral, with just a slight pop of color. 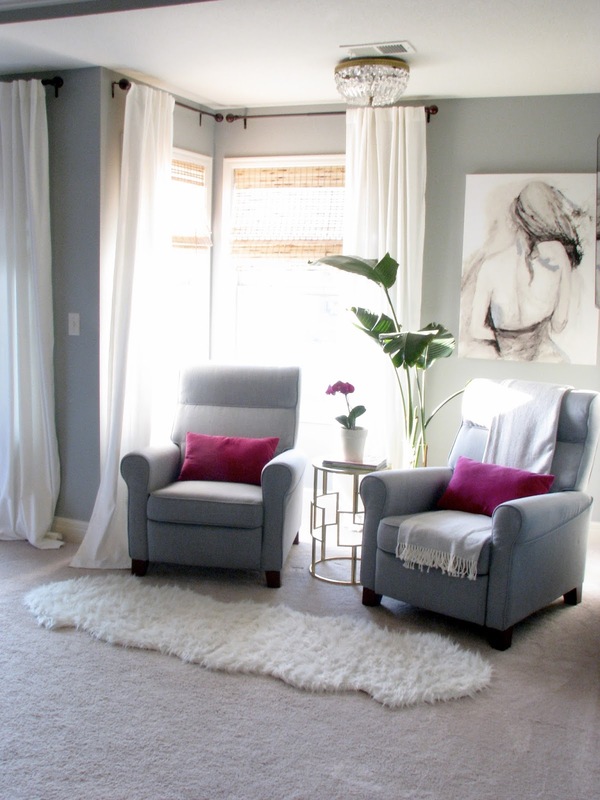 The white shag rug was a DIY project from awhile back. I sewed two inexpensive IKEA rugs together to make a runner for our office space. The office ended up being to much of a "traffic zone" for that rug, so I moved it up to the master. It adds just the right amount of texture. In the process of finishing this space, we also paid someone to come mount our new television. The laundry room is right behind that wall, so our cable box and all cords are in that space, leaving only the clean lines of the TV. This was so worth doing. We had a large, outdated armior in here previously, housing a smaller TV, and it just wasn't working for us anymore. This space now feels much more open, airy, and more "us".